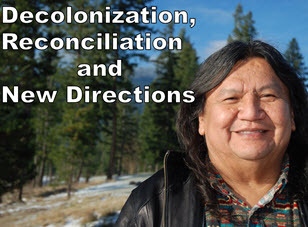 Arthur Manuel was four times elected chief of his Neskonlith Indian Band (1995–2003) and three times elected chair of the Shuswap Nation Tribal Council (1997–2003). He also served as spokesperson of the Interior Alliance of B.C. Indigenous nations and he co-chaired the Assembly of First Nations Delgamuukw Implementation Strategic Committee (DISC). On the international stage, he served as co-chair of the Global Indigenous Caucus at the U.N. Permanent Forum on Indigenous Issues and he is currently co-chair of the Forum’s North American Caucus.